September found me going back to school, but not as a student. Following in the footsteps of my c0-writer, GP Taylor, I began visiting schools to talk to the students and teachers about YHWH and the importance of reading. One school visit was to Lancaster Christian Academy in Smyrna, Tennessee. It was their “Read to Succeed Day” where the entire focus of the school day is on reading and learning about authors. I was scheduled to speak to an assembly of third through fifth grade students. Before the assembly, I had a special treat of meeting Jordan, a fifth grade girl who had researched YHWH on the Internet. She went to the Walk Through The Bible website, read about GP Taylor and me, and then read part of the story of David before giving a presentation to the class. At the end of my talk, one of the teachers asked if I would read a brief section from one of the stories in YHWH; I read several pages from “The Tower.” Afterwards, the teachers passed out YHWH bookmarks to the children while I spoke with the children who came up to meet me. 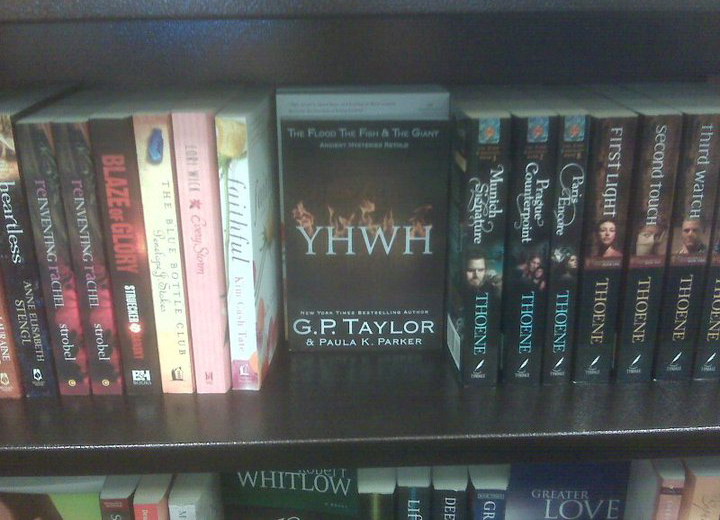 They were all excited about getting their own copies of YHWH and I had at least one teacher who said, “Okay, I’m rarely hooked on a book, but I have got to get this book.